Offering you a complete choice of products which include 38mm 3 start cap, ketchup flip top caps, sauce bottle flip top caps, honey bottle flip top caps, 38mm flip top caps and 32mm flip top caps. With sincerity and hard work of our experts, we have carved a niche for ourselves in this domain by manufacturing 38mm 3 Start Cap. In line with clients' variegated requirements, we bring forth a distinguished collection of Ketchup Flip Top Caps. 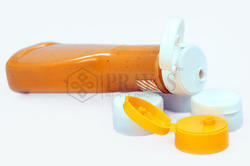 In line with clients' variegated requirements, we bring forth a distinguished collection of Sauce Bottle Flip Top Caps. In line with clients' variegated requirements, we bring forth a distinguished collection of Honey Bottle Flip Top Caps. In line with clients' variegated requirements, we bring forth a distinguished collection of 38mm Flip Top Caps. In line with clients' variegated requirements, we bring forth a distinguished collection of 32mm Flip Top Caps. 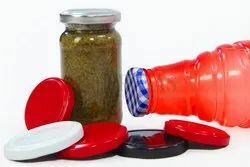 Riding on unfathomable volumes of industrial expertise, we are manufacturing an excellent range of Colorful Plastic Jar Caps can be given with or without handles. Cosmetics Jar Cap, Confectionery Jar Cap, Pickle Jar Cap, Bakery Jar Cap, Ghee Jar Cap, Masala Jar Cap, Garlic-Ginger Paste, Chocolate Jar Cap, Toffee Jar Cap, Namkeen Jar Cap, Snacks Jar Cap, Tea-Coffee Jar Cap and many more..
We are providing a vast quantity of PET Ghee Jar Cap . Our range of stylo Jar Caps are stackable, moisture proof and easy to clean. Available in different colors, shapes and designs, these Ghee Jar Cap are highly attractive and enhances decor of kitchen. 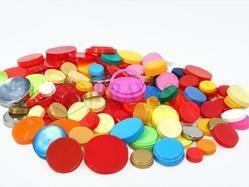 With vast industrial knowledge, we offer an exclusive quality range of Metal Lug Caps. These products are made-up making in use of top quality raw material in combination with advanced tools and technology. In line with clients' variegated requirements, we bring forth a distinguished collection of Ketchup Bottle Caps. 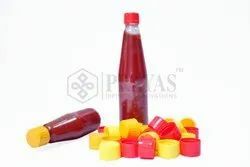 Application Used for Ketchup,Juices,Oil,Kitchen Pastes,Liquid Soap,Shampoo,Hand Wash and many more.. 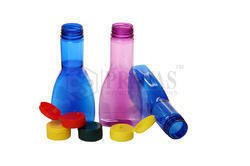 In line with clients' variegated requirements, we bring forth a distinguished collection of Standup Spout Pouch Caps. 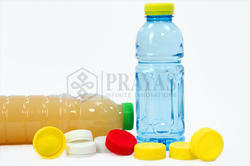 Our firm offers a vast assortment of PlasticSauce/Honey Bottle. These products are produced as per the global specifications. 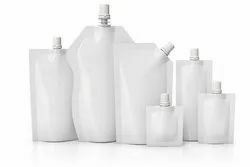 These products are provided to our customers to satisfy their individual needs and requirements.